March 15, 2012 June 30, 2013 ~ N.
This is such a great book. Really, I’m not sure how else to start this post. But since I certainly haven’t posted in a while, I decided I’d make it about something good. 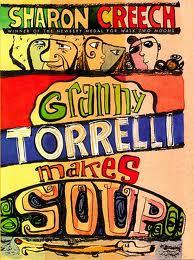 And this book, Granny Torrelli Makes Soup, written by Sharon Creech, is good. It’s about two twelve-year-old kids, Rosie and Bailey. Rosie and Bailey are about as close as you can get. Best best best best best friends. But one day, things suddenly change. Rosie doesn’t understand why things went the way they did. Luckily for her, though, there is a very special someone coming over that night to look after her while her parents are away–Granny Torrelli. And as Rosie and Granny Torrelli are making zuppa, soup, they start to talk. Just like they do when they’re making pasta. This book is a nice, short read that can pull a reader in and really make them care about the characters. The words are practically poetry, and I think that almost everyone will find something to like in this story. 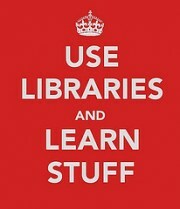 So why don’t you take a trip to the library? P.S. This book, while it is on sale at Powell’s Books, did not have an image available, so you can just click on the book title for the link.